I always start a play because I have a question. My goal is not to find an answer, but to simply explore the complexities of the question. What’s left when a person loses everything? In August 1665, William Mompesson considered himself blessed. He was 27, newly ordained, recently married and starting his first appointment as Rector of the Anglican church at Eyam in the English Midlands. One year later, most of his congregation, including his beloved wife, were dead from the Plague. His faith in God was also dead. With nothing left but his own conviction that it was the right thing to do, he convinced the few remaining survivors to quarantine themselves to keep the Plague from spreading. What can we learn about racism by watching two racists face off? A bitter, old white man’s dream comes true when an arrogant black punk breaks into his house. Instead of an easy hit, the young man finds himself hog-tied in a booby-trapped chamber-of-horrors. When two Mormon missionaries come calling to save their souls, the old man and the young punk join forces to outwit them. What if “til death do us part” is the whole point? Ailing seniors Lydia Hamilton and Peter Musto want to get married so that they can accomplish the one thing that they’re not allowed to do at Meadowbrook Rehabilitative Center – die. Think Romeo & Juliet in a rest home, but instead of parents keeping the kids apart, it’s the kids – and the administration – trying to keep parents apart. Can a person live in two worlds? 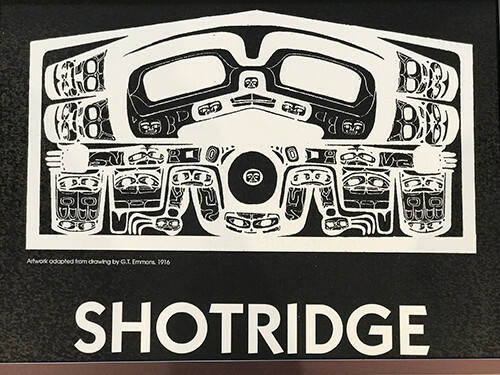 Louis Shotridge (1886 – 1937) thought he could reconcile his traditional Tlingit upbringing and his Western education by becoming an anthropologist. He collected some of the last important pieces of his culture for the University Museum in Philadelphia by rationalizing that he was saving them from destruction. 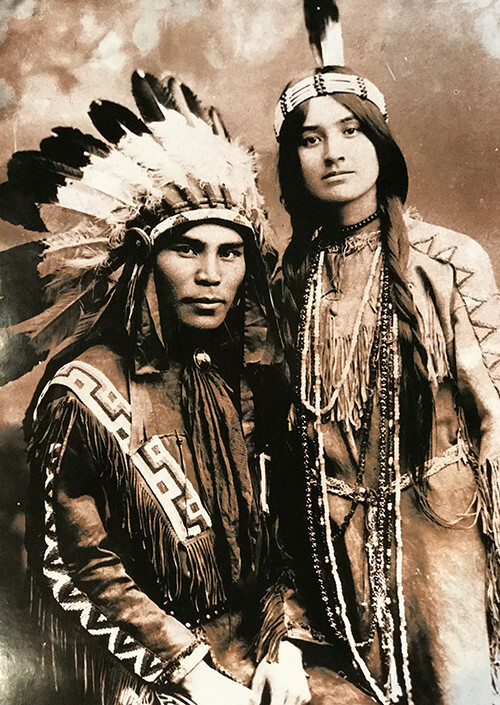 But when his wife died of tuberculosis, he had no choice but to steal back a sacred object from the Museum to bury her properly. 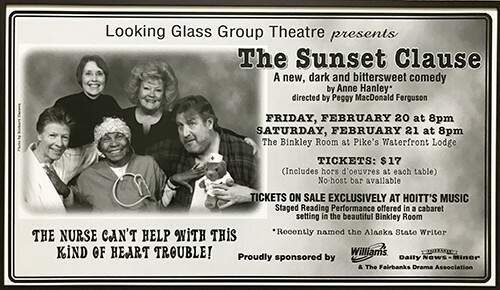 This play has been adapted into a screenplay titled Two Chiefs. What do you do when love doesn’t work? Newlyweds Greg and Judy get much more than they bargained for when Harley, a 14-year-old veteran of the foster care system, joins their family. The only way Greg can reach Harley is to call on the one person he can’t face: the unloved boy in his own past. 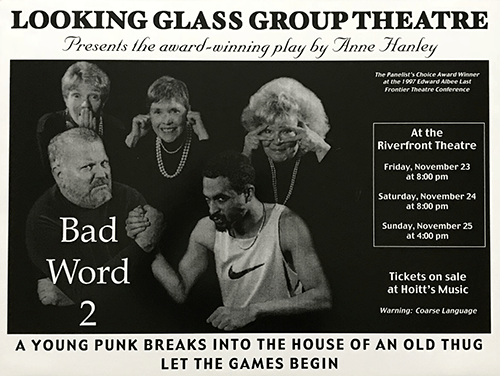 This play has been adapted into a screenplay also titled Ward’s Welding. How can we change the climate of fear and hopelessness that causes too many young Alaska Native men to commit suicide? Alaska Native teenager Duane “Shadow” David is ready to commit suicide when Koyukon elder Sidney Huntington turns him around with a mixture of tough love and traditional culture. 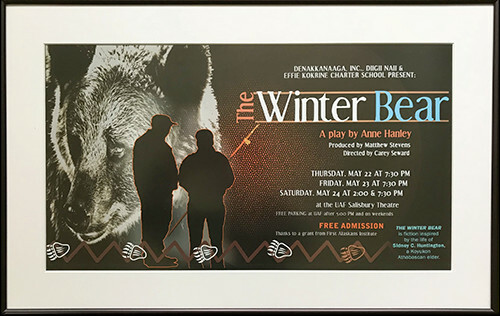 This play has been adapted into a screenplay also titled The Winter Bear. What do we need to have a religious experience? An undercover agent tracks down a dangerous cult figure who claims to raise people from the dead. But before he can make the arrest, crazy John, the Bungee-Jumper convinces the cop to take the plunge that will bring him face-to-face with his own divinity.